Today Beadsaholic brings the Last Bloom of Summer featuring Trollbeads. Inspiration in lieu of Summer ending and Autumn beginning this week here in the states. With Summer coming to an end on the 22nd of September, I thought a last bloom of summer bracelet was in order. Of course, it’s still hot here and these beads can be worn year-round, especially on grey days when you want to see a beautiful flower blooming on your wrist. Front center is the beautiful Trollbeads Indian Cress, I thought it would make a beautiful focal on this bracelet mixed in with the Birth Month Flowers. Here are a few photos at different angles. I truly love the Winter Wonders Kit mixed with Daylight Brilliance! Trollbeads Winter Wonders Kit debuted Winter of 2016 and many stores have sold out. However, if you have been looking, you are in luck! Both Bead Fanatic <Click and Joseph Welch Jewellers < Click, still have this kit in stock! Please note that these stores have limited stock. Here is a list of beads on the bracelet in the photo below, starting at the top and going clockwise. Trollbeads Daisy of April retails for $53 /€47, choose a retailer at the bottom of this page. Trollbeads LE Winter Wonders Kit 2016 retails for €252 available at Beads Fanatic and £210 available at Joseph Welch Jewellers. Trollbeads Daffodils of March retails for $56/ €51, choose a retailer at the bottom of this page. Trollbeads LE Daylight Brilliance retails for $56 is available at Trollbeads. Trollbeads Rose of June retails for $56 / €51, choose a retailer at the bottom of this page. Trollbeads Indian Cress retails for $56 / €51, choose a retailer at the bottom of this page. Trollbeads Chrysanthemum of November retails for $53 /€47, choose a retailer at the bottom of this page. Trollbeads Narcissus of December retails for $56 / €51, choose a retailer at the bottom of this page. Trollbeads Water Lilies of July retails for $53 / €47, choose a retailer at the bottom of this page. 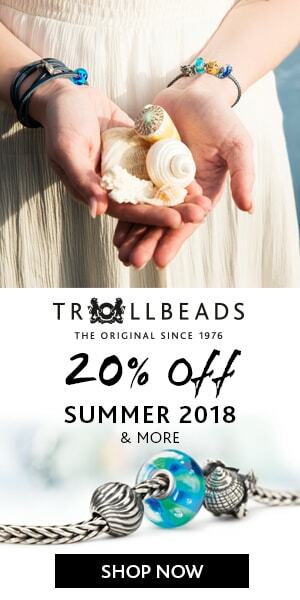 Trollbeads Lace Lock retails for $56 / €48, choose a retailer at the bottom of this page. Now for some up-close photos! Here you can see all the details of the large flower on the Trollbeads Indian Cress. Trollbeads Rose of June is one of my favorite flower beads. It is beautifully detailed. The rose is such a statement bead and is perfect as a focal on a bangle or bracelet. On the back side, there is a hidden pearl. Each Birth Month flower has an attached pearl somewhere on the bead. Trollbeads Chrysanthemum of November is also perfect as a focal and as you can see on this bead the pearl is in the middle of the petals. Trollbeads Narcissus of December leaves beautifully wraps around the bracelet with a pearl peeking out. Trollbeads Daffodils of March has two beautiful blooms and a pearl peeking out between them, the leaves and stem wraps around and down the bracelet, as you can see in photos above. This is such a unique design. Trollbeads Daisy of April is a bit smaller than the others; however, it is adorable with two daisies at the top and leaves with pearl at the bottom. This is my birth flower, so of course I love it a little more! Trollbeads Water Lilies of July is another favorite! I love the petals and how it sits on a bracelet, it is a beautifully detailed bead that is a must have in my opinion! Bottom side you will find the lily pads and pearl. 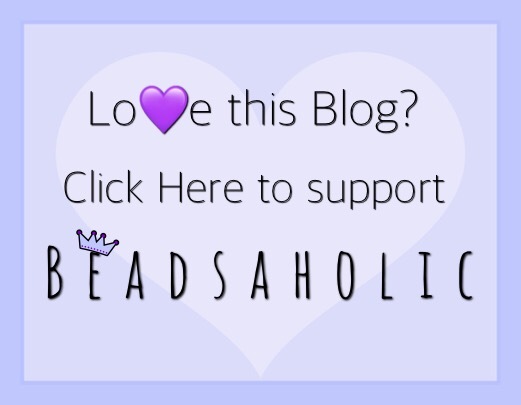 Over all, these are some of my favorite beads which is why I wanted to get them on the blog before summer was over. I’m sure soon you will see some of these beautiful white glitter beads mixed in with some of my Christmas and Winter themes. If you are looking for the Winter Wonders kit from last year you may want to act fast as only a few kits are available and it is sold out at most retailers. Daylight Brilliance was last year’s Black Friday bead and Trollbeads USA has limited stock, if you would like to shop for this bead and any of the flower beads you may do so by clicking the affiliate banner below. Please note that Trollbeads USA does not ship internationally. You will need to choose from the list of retailers below if you live outside the USA. I was only able to find the Winter Wonders Kits at two locations. Stock is low so, act fast! The kit is available at the following two links. Trollbeads Flowers, locks, etc. listed above can be purchased at any of the following retailer’s. As always, I love hearing from you all. Do you have the Winter Wonders Kit from last year or any of the flowers? What are your thoughts and what do you like to wear them with? I look forward to hearing from you all.